John and I had a great week near Trawsfynydd in July exploring some new parts of the county We walked down to Ceunant Llenyrch for the first time and made lots of nice records; we also visited the farmer who grazes the land north of Cwm Mynach, John Jones of Ffridd Bryn Coch, at his remote farmhouse on the eastern flank of the Rhinogau near Trawfynydd. There is so much of this lovely Merioneth that I still don't know! Our B&B at Trawfynydd - complete with model railway! 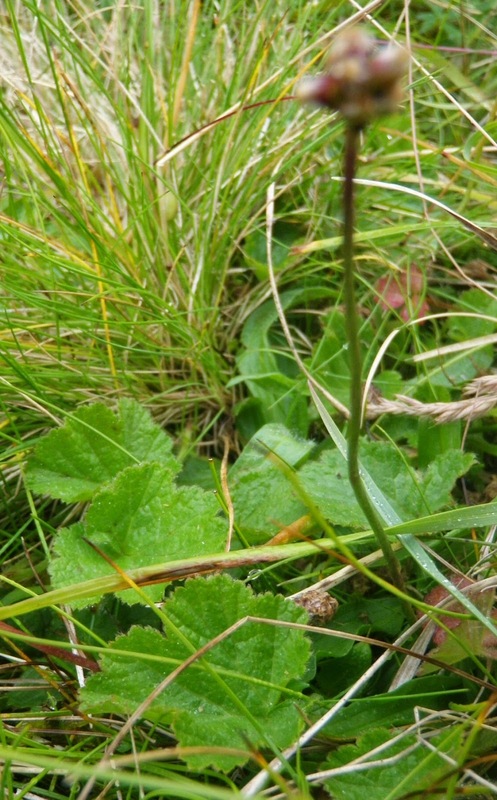 We also had a day out on the RSPB reserve at Tanrallt in Cwm Prysor, where Gethin Elias, the warden, is putting up some remarkable records, including a new site for Cloudberry, Rubus chamaemorus, and several sites for Carex limosa, Bog Sedge. It is great to have such a keen naturalist working in the area. For the July meeting of Merioneth Nats we had hoped to reach the cliffs of Moelwyn Mawr but were unable to get permission to drive as far as the Stwlan dam, so we met at Tanygrisiau to walk up. A rewarding walk if not exciting botany! The next day began the great bramble weekend based on the Field Studies Council Centre at Rhyd y Creuau neat Betws y Coed. With our leaders David Earl and Rob Randall we spent time in both Merioneth and Caernarfon looking at the common and rarer species of Rubus and getting used to the important characters. These included: leaf arrangement, shape and colour, and hairiness; the colour of the stems and their armature, from the hedgehog-y stems of Rubus dasyphyllus to almost smooth ones. The flower colour and size is important including the often rosy-red stamens and styles. I came away feeling more confused than ever but at least knowing a) what to look for and b) which of the commoner species can be expected in Merioneth.